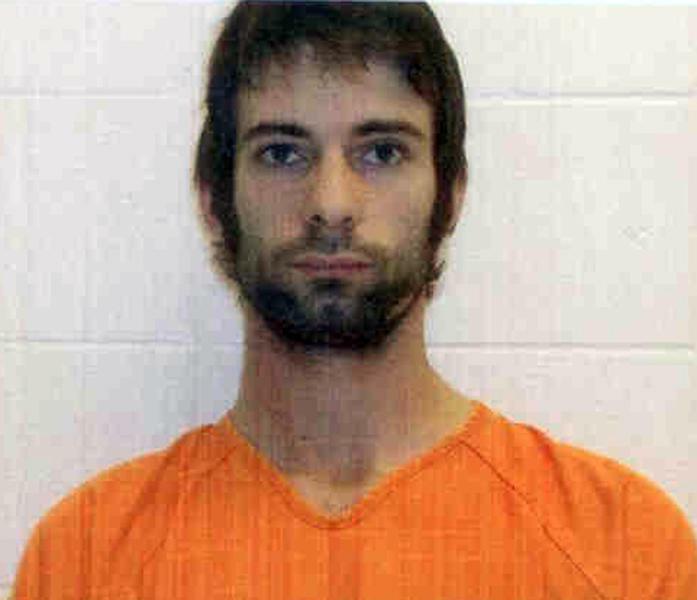 The U.S. military confirmed Sunday that Routh was a corporal in the Marines from June 2006 to January 2010. He was deployed to Iraq in 2007 and Haiti in 2010. His current duty status is listed as reserve. Bryant said the trio went to the shooting range around 3:15 p.m. Saturday. Someone else came across the bodies of Kyle and Littlefield around 5 p.m. and called 911. After the shootings, Routh left the shooting range in Kyle's black pickup truck, Bryant said, first going to his sister's home in Midlothian, where he told her and her husband what he had done. The couple called local police. Travis Cox, the director of a nonprofit Kyle helped found, told the Associated Press on Sunday that Kyle and Littlefield had taken Routh to the range. Littlefield was Kyle's neighbor and "workout buddy," Cox said. "What I know is Chris and a gentleman — great guy, I knew him well, Chad Littlefield — took a veteran out shooting who was struggling with PTSD to try to assist him, try to help him, try to, you know, give him a helping hand and he turned the gun on both of them, killing them," Cox said. A knock on the door at Routh's last known address went unanswered Sunday. A for-sale sign was in front of the small, wood-framed home. 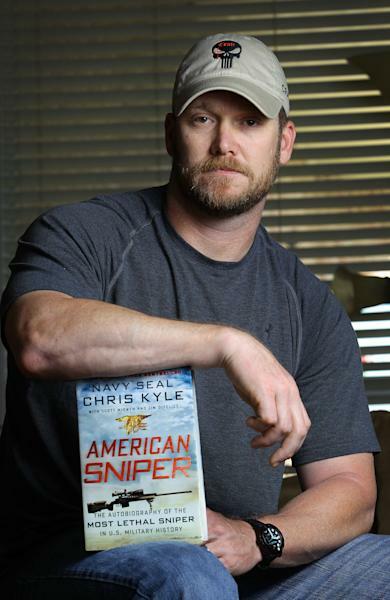 Kyle, a decorated veteran, wrote the best-selling book, "American Sniper: The Autobiography of the Most Lethal Sniper in U.S. Military History," detailing his 150-plus kills of insurgents from 1999 to 2009. Kyle said in his book that Iraqi insurgents had put a bounty on his head. According to promotional information from book publisher William Morrow, Kyle deployed to Iraq four times. Kyle's nonprofit, FITCO Cares, provides at-home fitness equipment for emotionally and physically wounded veterans. "Chris was literally the type of guy if you were a veteran and needed help he'd help you," Cox said. "And from my understanding that's what happened here. I don't know how he came in contact with this gentleman, but I do know that it was not through the foundation." Cox described Littlefield as a gentle, kind-hearted man who often called or emailed him with ideas for events or fundraisers to help veterans. "It was just two great guys with Chad and Chris trying to help out a veteran in need and making time out of their day to help him. And to give him a hand. And unfortunately this thing happened," Cox said. Lt. Cmdr. Rorke Denver, who served with Kyle on SEAL Team 3 in Iraq in 2006, called Kyle a champion of the modern battlefield. "Everybody was aware in 2006 that something special or something unique with his skill set was developing and starting to grow and then it just carried on until he hung up his guns, at least in an active military capacity, and moved on," Denver said. 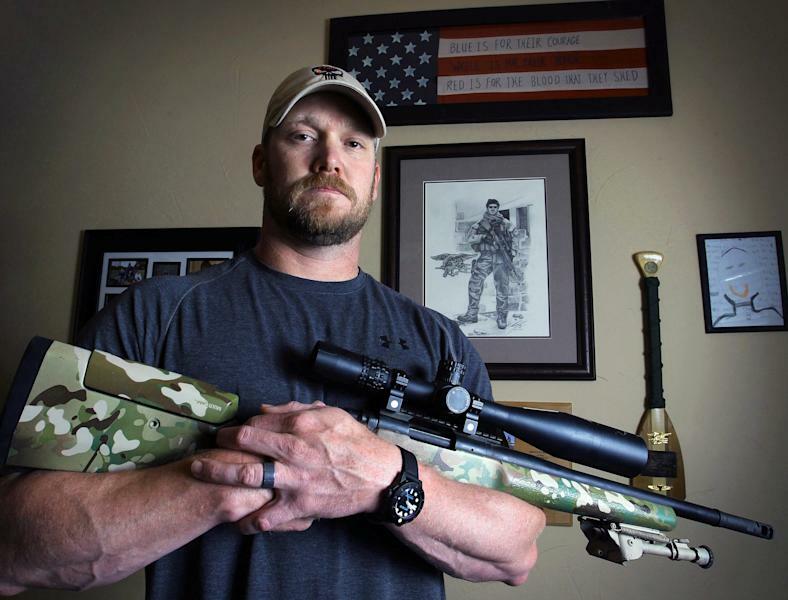 His book, "Damn Few," about training SEALs, will be released this month. Denver wasn't surprised that Kyle apparently used a shooting range to help someone with PTSD. "For us, for warriors, that's a skill set that has become very familiar, very comfortable for us," said Denver, a lieutenant commander in a reserve SEAL team. "So I actually see it as kind of a perfect use of Chris' unique skill set and expertise of which he has very few peers." Craft International, Kyle's security training company, had scheduled a $2,950-per-person civilian training event at Rough Creek Lodge called the "Rough Creek Shoot Out!" for March 1-3. The price included lodging, meals and shooting instruction. Kyle was scheduled to teach the first class, called "precision rifle." Sherman reported from McAllen, Texas. Associated Press writers Andale Gross and Erica Hunzinger in Chicago contributed to this report.